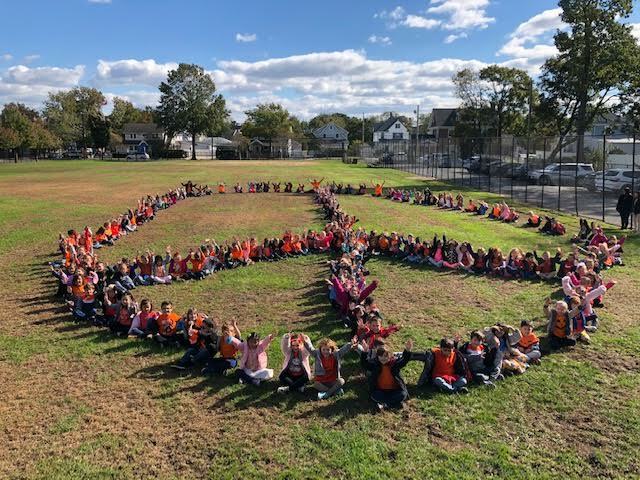 students throughout the Lynbrook Public Schools donned orange clothing and accessories to celebrate Unity Day on Oct. 24. Unity Day is recognized across the country as a stance against bullying and a day to gather together in support of kindness, acceptance and inclusion. 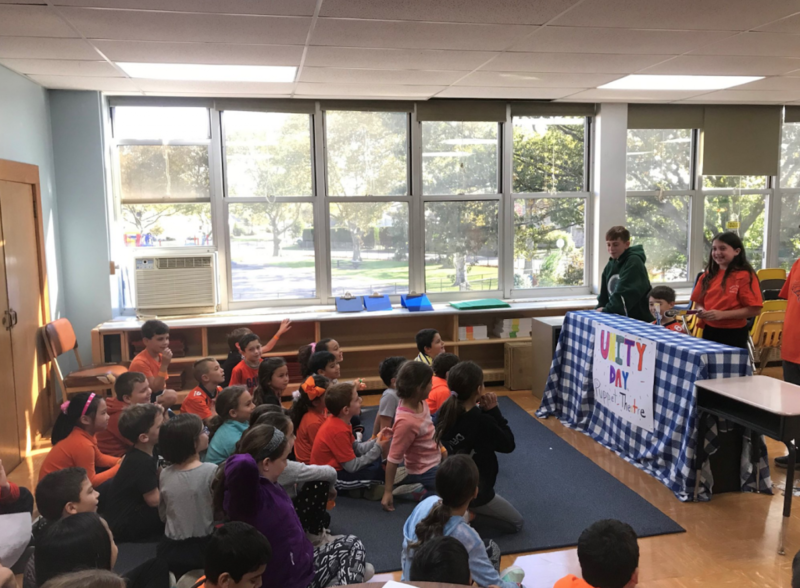 At West End Elementary School, students performed Unity Day skits and marched with staff members to represent that “every step you take matters.” Each student held up an orange cutout of a shoe which they decorated with signs of peace and words of how they will promote kindness. 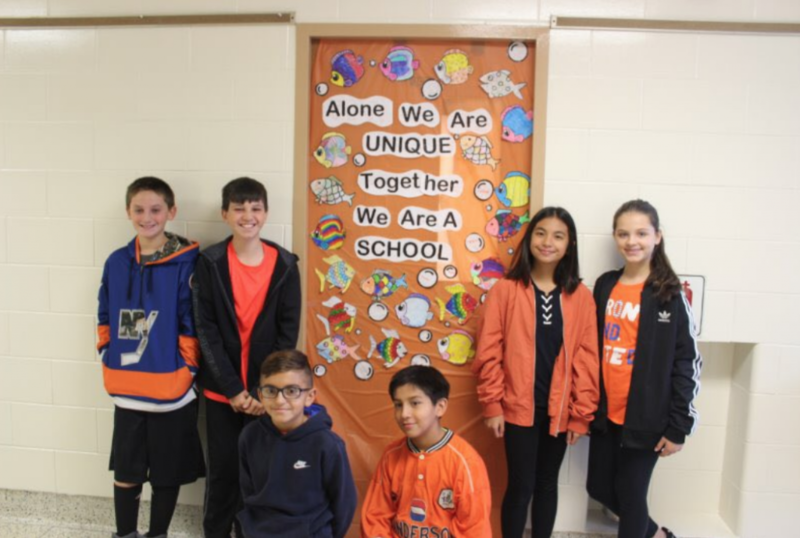 At the middle school level, Lynbrook South Middle School students decorated doorways with positive messages while Lynbrook North Middle School students created orange pinwheels as part of Pinwheels for Peace.